The third and final Audioslave album “Revelations” was released on September 5, 2006. 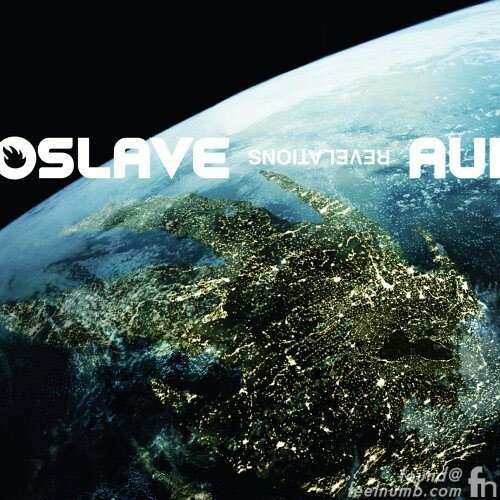 The album cover of the supergroup featuring Chris Cornell of Soundgarden with Tom Morello, Brad Wilk and Tim Commerford of Rage Against The Machine featured the Audioslave logo as an island on Earth. 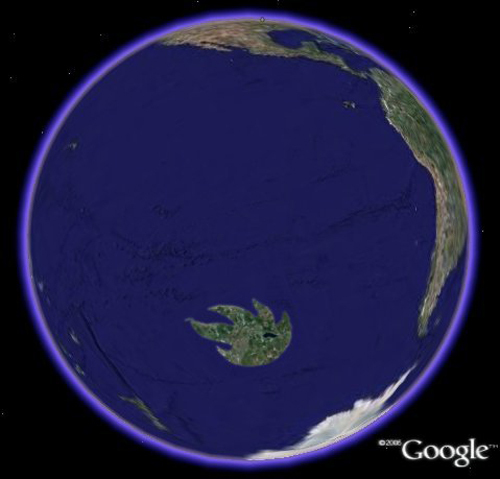 A huge marketing campaign for the album even featured the creation of the “Audioslave Island” on Google Earth. 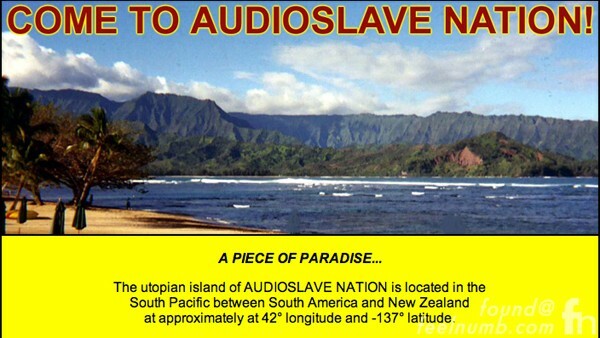 The fictional island dubbed AUDIOSLAVE NATION was located in the South Pacific. This is what it looked like on Google Earth. The utopian island of AUDIOSLAVE NATION was located in the Indian Ocean between South America and New Zealand at approximately 42 degrees longitude and -137 degrees latitude. Fans could even access http://www.audioslave.com/audioslavenation to start planning their trip. Despite the massive campaign, other forms of media/press and the positive critical buzz for their third album, Audioslave broke up and did not tour behind the release. The AUDIOSLAVE NATION website was still working as late as 2009 but now gone forever, just like the “Supergroup”. 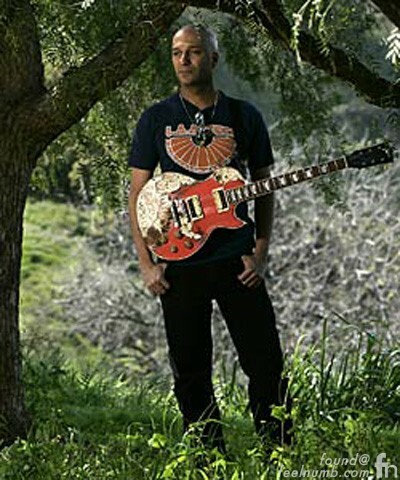 Click the photo or link below to check out the “Corporate” Gibson Les Paul guitar Morello torched while in the studio with Audioslave.